Coating an aerospace vehicle requires careful testing on its painting prototype. Painted objects are protected from corrosion better than polished ones. The aerospace industry is one of the most complicated industry branches. It has the ultimate aim to be safe for people to use. This is why every aspect of an aerospace product must be top-notch, tested and fine-tuned to provide the highest reliability and life. Let's talk about airplanes. In order to get approval, the coating process must be tested on product prototypes. But is there even a point in coating planes? They are mostly made of aluminum alloys that have great corrosion resistance and you could save about 35,000 dollars if you chose not to paint but to polish the surface instead. 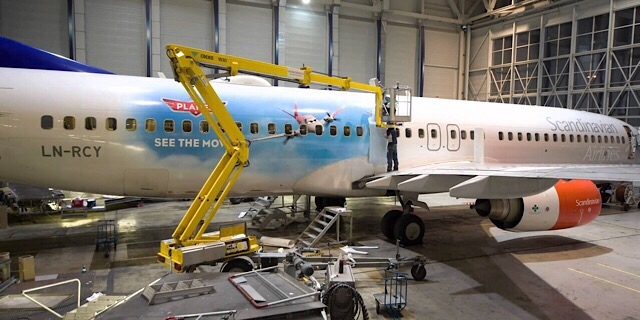 So, why do we even paint our planes? Is prototype painting still needed? The majority of airplanes are made of a high-strength alloy Alclad. It forms a thin oxidized protection layer in the first minutes when exposed to oxygen. However, this layer is quite thin and can crack or be compromised by the dire conditions the aircraft has to withstand. Painting helps in strengthening this thin protective layer. It has a special varnish that repels salts, adhesives, mud, and liquids. However, due to temperature and stress fluctuations, the coating will have multiple small cracks. That's where corrosion may start. Polishing is a process that involves greatly increasing the quality of the surface finish by using fine abrasives. As a result, the microscopic cavities and peaks of the alloy outer layer are greatly decreased. This makes it harder for corrosive particles to stay on the surface. However, polishing thins out the oxide screen even further. 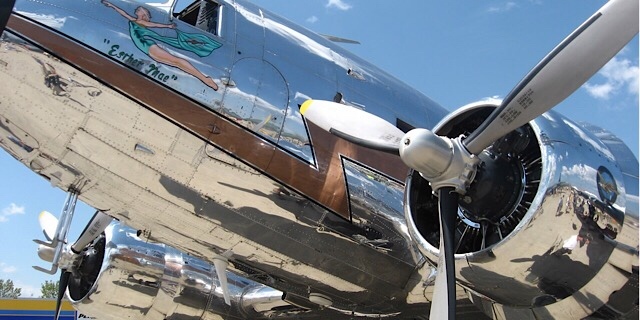 To prevent the corrosion, both the polished and the painted planes are washed in an alkaline solution. Since most paints have elements that repel liquids, salts and other particles, it is not necessary to wash it as often as polished surfaces. If we take aesthetic looks into account, polished planes are to be cleaned twice as often as painted ones. The airplane coating certainly does have some harmful agents. One of them is chromium and the other one is cadmium. Chromium is present in both the primer and the paint itself and its volatile compound. Exposure will cause skin and lung problems. Prolonged exposure leads to cancer. Cadmium has similar toxic effects. You see why it is important to watch out for them? Manufacturers have to purchase specialized air filters and oxidizer to prevent those elements from polluting the neighborhood. Polishing in itself is harmless. However, the process uses solvents. Some of those may contain ozone thinning components. The use of such elements is harmful to the atmosphere as a whole, so a lot of countries forbid the use of ozone thinning elements. In conclusion. The use of painting over polishing or the other way around greatly depends on the country. Depending on your place having prohibitions regarding chromium, cadmium or ozone elements, you will choose the one that is more profitable. Marketing plays a large role in the modern airplane industry. A lot of transport companies have an original visual style and will want their planes to be distinguished. Some of them use this to get the attention to their brand. 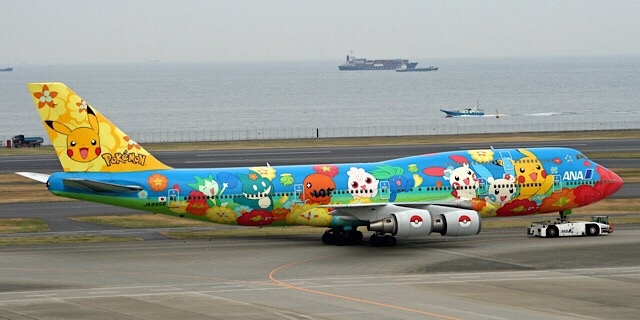 Like the guys who went and did an awesome Pokémon art on their vehicles. 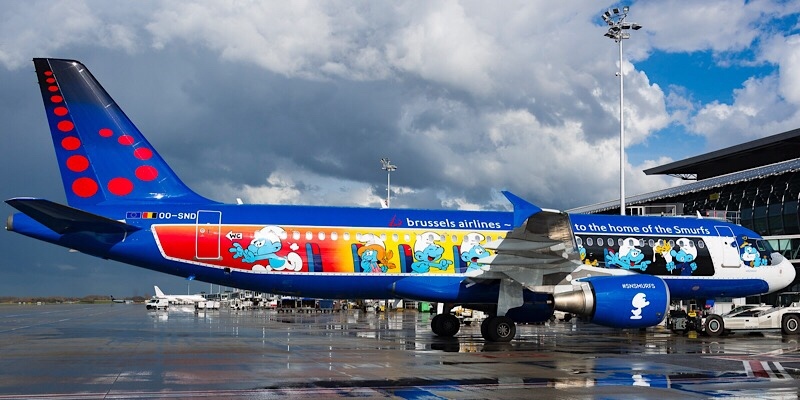 However, in the time, when a lot of planes are painted in every color of the rainbow, maybe having a shiny polished plane will actually stand out? The price tag for well-made painted and designed planes is surely larger than for polished airplanes. In addition to that, the airplane that is painted weighs more. That means it used more fuel. It has to be repainted every 5 years or so as well and washed regularly. Despite all of that, polished planes actually require more money to be maintained. For example, they do use less fuel, but the difference is so minuscule that it is almost not worth mentioning it. However, planes have to be repolished about three times a year to keep their shine and luster. They need to be washed more often as well as the aluminum oxide screen protects from corrosion worse than a whole 0,3 mm paint layer. In conclusion, it has been calculated by the boing that using polished airplanes is 0,06-0,3% more expensive than using painted ones. So, in that regard, almost no difference in price. 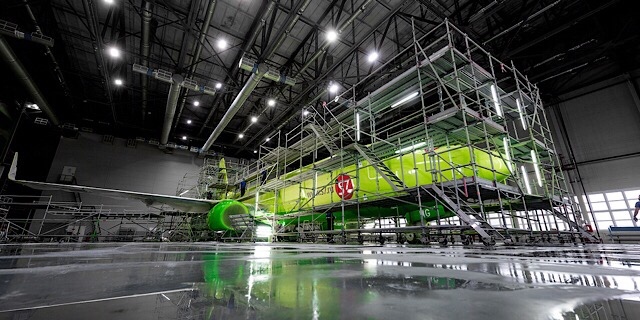 Painting of aerospace products is a complex and time-consuming task. First of all, you'll have to make stagings that go up to the top of the plane and allow access every corner of the plane. Now, you'll have to remove all small elements, such as mounting pegs, antennas, and sensors. Then, you cover the windows and holes with tape to keep them from droplets. The paint is generally sprayed on the surface with an air gun. As the last preparation step, the surfaces are washed to remove any kind of mud or grease. First, the primer is administered. It serves as a base for the following layers and makes them stick to the surface better. After that, a colored paint is sprayed and in the end, the varnish that will keep the paint safe from corrosion. The spraying is usually done from the tail of the plane up to its front. On the whole, the paint layer is about 0.3 mm. If it gets any thicker, the paint will crack after only a few flights. Otherwise, the paint won't be the color it was supposed to be. To make the paint stick better to the surface, it is sometimes magnetized. Coating an aerospace vehicle or even part of it is a complex process that required careful testing on its prototype. At the least to determine mass changes since they are vital in flying machines. There is practically no difference in price whether you use polished products or painted ones. Painted objects are protected from corrosion better than polished ones. If your product isn't made of an aluminum alloy, painting is a must. Polishing and Painting are both harmful to the environment, so specialized protection equipment is a necessity.